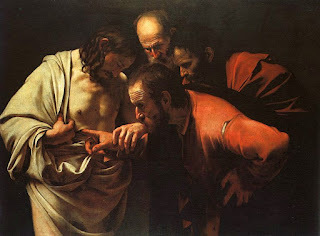 Caravaggio's painting of St. Thomas when Christ reveals his wounds. Ah, my favorite! I love flawed characters the best, even more than the saints. Who else can your reader relate to? Think of the apostle Thomas and how we all love him for his doubts. Then take the average man or woman you know who could be a hero or heroine if only they didn’t have those one or two bad character traits. I’m not talking about your villain, although I personally love villains who could have been heroes if they’d only taken the right fork at the crossroads of life. I’m talking about the Flawed Hero—that great person that perhaps lies beneath the skin of all of us. That greatness we all long to attain, but that so often doesn’t surface because of those personality traits that hold us back. Your most interesting hero should have a flaw or two that is not easy for him or her to shake off. Think of those you know—or even yourself—how wonderful you could be if only you didn’t have one or two of the following examples. Quick Draw Temper who explodes before she or he has a chance to think things through and show their true wisdom. Little Old Me with their poor self-esteem which shows up in all that nasty envy of others so that the character is never happy for other’s success. The “I Did it My Way-ers” who bore everyone with their piety, fail to show compassion and humility to others, and who live only to point out the failures of others. Oh Poor Me who feels life owes them something or life has treated them badly. They either retreat from the world, shutting others out, or blatantly expect everyone around them to provide their needs. The Smart One who makes witty remarks that border on sarcasm or are downright mean. The Slave who strives to please everyone all of the time. 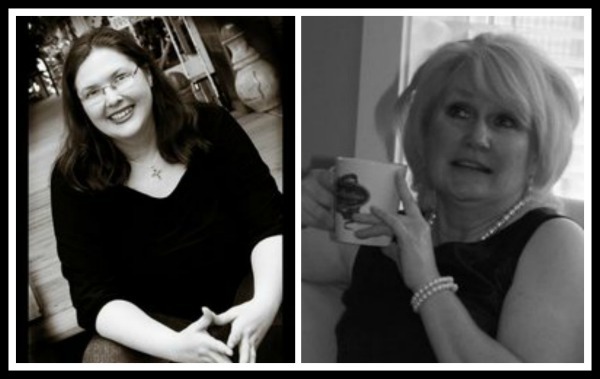 The Family Disgrace who is flagrantly flawed in a moral sense. Above are some of the most common character flaws in human nature. If you look at yourself and those around you, you may come up with a few more. These flaws can be slight or extreme depending on how flawed you want your character at the start of the novel. But your hero or heroine needs to struggle with at least one or two of these flaws and to overcome them by the end of the story to reach that greatness we all desire. Below are the Character Flaws from some of my heroes. Major Geoff Richards in Shadowed in Silk: A bit of an “I Did it My Way-er.” Geoff had to learn humility when as a very godly man he fell in love with another man’s wife. Abby Fraser in Shadowed in Silk: She was an “Oh Poor Me” in that her self-esteem had not been allowed to flower in her youth and she went through life feeling invisible. Laine Harkness in Captured by Moonlight: The Smart One who constantly made people laugh with her witty remarks that often slipped into catty sarcasm. In Laine’s case this was to hide her own broken heart and the crust that protected her from emotional pain. Adam in Capturedby Moonlight: Is another “Oh Poor Me,” a man deeply wounded by the war who literally and figuratively shuts himself away from the world and especially from the woman he loves. Cam in Veiledat Midnight: The Family Disgrace who inherited his father’s gene for alcoholism, and struggles for sobriety to bring back to him all his drunkenness stole from him, especially the woman he loves. Dassah in Veiled at Midnight: Starts out as The Slave. Due to feelings of inferiority as an Indian Christian orphan, Dassah needs the entire story to stop feeling like she needs to please everyone especially the man she loves her let her down. 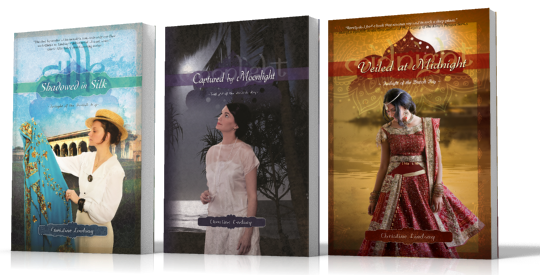 I’ve used the main heroes and heroines of my trilogy “Twilight of the British Raj” to demonstrate that these common-place character failures are universal and that plotlines can be strung along these basic flaws. The only difference from storybook heroes and us in real life is that your characters will overcome these thorns in their life, and by the end of the story attain that greatness that befits a good novel.